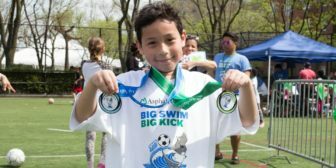 Sports and fitness nonprofit Asphalt Green raised $800,000 at its 22nd annual Big Swim Big Kick on Saturday, April 29, 2017 to support its scholarships and free community programs, which transform the lives of more than 33,000 New York City kids and seniors each year through sports and fitness programs. Highlighting the daylong festivities at Asphalt Green’s Upper East Side campus were free swim races and soccer activities for nearly 1,000 kids, an event record. Kids and parents were also treated to eye-popping exhibitions by professional freestyle soccer player Skye Cowie, Olympic divers, and synchronized swimmers. The Big Swim Big Kick honored swimmer Maya DiRado, winner of four medals—two gold, one silver, and one bronze—at the 2016 Olympics in Rio de Janeiro. DiRado and Cowie delivered keynote remarks at a benefit luncheon held alongside the swimming and soccer activities. Three-time Olympic gold-medalist swimmer Rowdy Gaines and Spectrum NY1 News reporter Roger Clark emceed the event. One of Asphalt Green’s free community programs supported by the Big Swim Big Kick is Waterproofing, which is providing water safety and swim instruction to 2,700 New York City public school students throughout the 2016-2017 school year. Many Waterproofing students participated in the Big Swim Big Kick, including a class of second-graders from PS 170 in the South Bronx. Additional Asphalt Green programs supported by the Big Swim Big Kick include its Recess Enhancement Program, serving more than 28,000 elementary school students; Community Sports Leagues, serving more than 750 Harlem middle school students; Senior Fitness; and athletic and camp scholarships. Manhattan Borough President Gale Brewer and City Council Member Ben Kallos attended Big Swim Big Kick to show their support for Asphalt Green’s mission to improve the lives of all New Yorkers through sports and fitness. 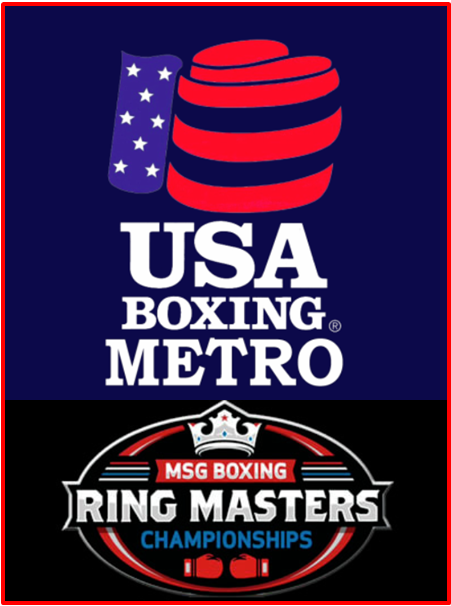 Big Swim Big Kick’s corporate sponsors include PepsiCo, Tyr, USA Swimming, Omni New York, Fried Frank, Glenwood and Skadden. This year’s event also drew a record number of volunteers, with over 400 New Yorkers helping to ensure that all attendees had a safe, fun day.